Give your daughter the Sweet Sixteen of a lifetime, and host it at Antun’s by Minar. Your daughter will be speechless when her and her guests step into the luxurious ballrooms which we can cater to any style, and feast on our delectable custom menus of South Asian, Spanish, and Italian cuisine. Speak to one of our event managers, and tour our different rooms to see which suits your vision best. We have over thirty years of experience planning the most incredible sweet sixteens imaginable. A sweet sixteen is unlike any other birthday; it is a celebration of stepping into young womanhood for many girls. Treat your daughter to the party of a lifetime when her and her guests step into our lobby with our dramatic lobby staircase, and file into one of our party rooms decorated per your requirements and suited for a princess. 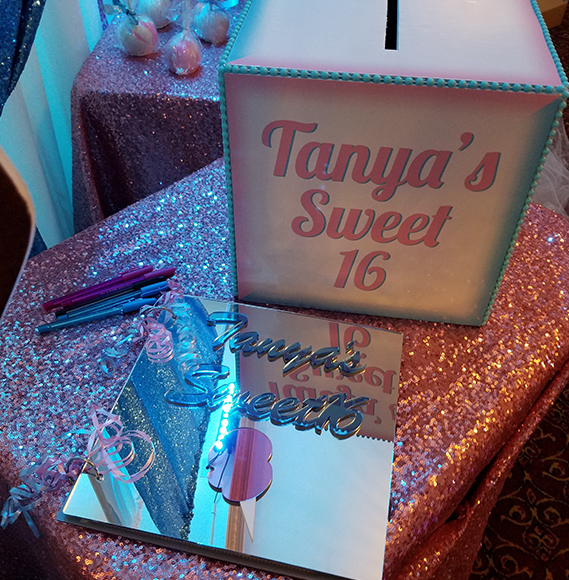 Contact us today to find out more about our custom party options for your daughter’s upcoming sweet sixteen, we guarantee it will be unforgettable.